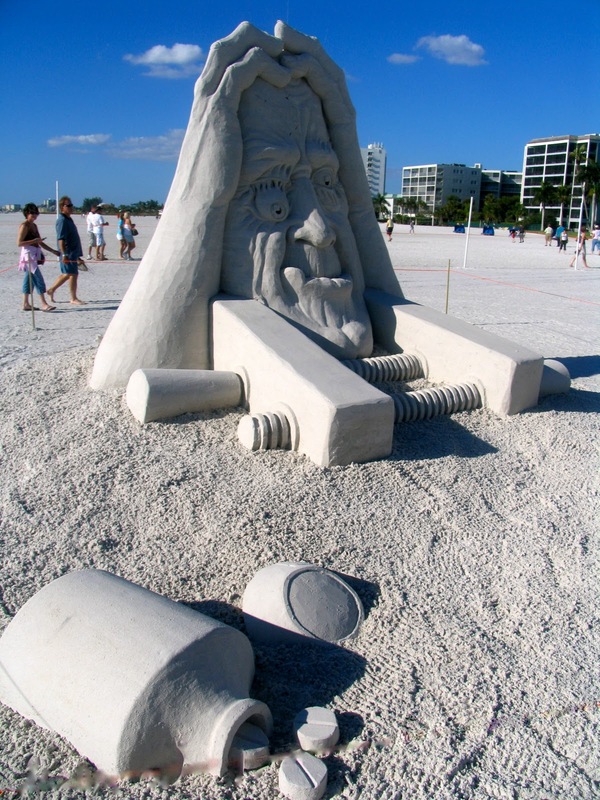 This years Sand Sculpting Festival was again incredible. 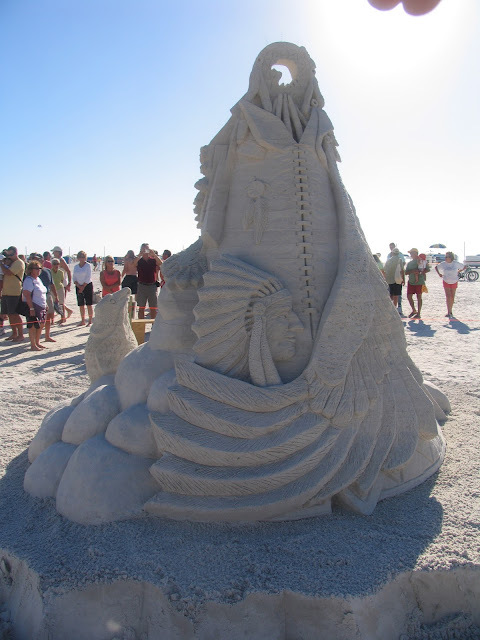 We've only been attending for the past 3 years but this was actually the 24 Annual American Sand Sculpting Championship and is a rather impressive event. There are food and craft vendors and a few kid activities. Many people make it a day at the beach and quite a few attendees even arrive by boat. The hands down (or in this case hands up) winner for me was The Headache. The sculptors creativity, originality and attention to detail was simply amazing. Of course everyone's favorites are different. Morgan's favorite was this one called Pigs on a Blanket from the Amateur Competition area. Pretty amazing for an amateur! Below are some more examples. There's pretty much something for everyone's taste. Alas, I could not resist including these parting shots! FOOTNOTE: I can't believe I missed this! I'm covering it anyway because I'm sure not going to miss it next year and you shouldn't either! The Sarasota Chalk Festival celebrated the spectacle of Street Painting, a 400 year-old performance art cultural tradition, during the weekend of October 30 & 31st when it became America’s First International Street Painting Festival. 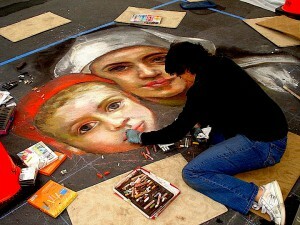 The art-form that originated in Europe when Madonnari (street-painters) would recreate images of the Madonna on the surface of the streets for tips. Professional I Madonnari (street-painters) and artists from all over the world transformed South Pineapple Avenue and all of Oak Street from Pineapple to Palm Avenue in Burns Square into a gallery of fine art using the street pavement as their canvas and chalk as their medium.